A cheery place about pretty, tasty and savvy. Hmmm, ranch seasoning. Tangy, versatile, and goes with everything. I could eat cardboard if you slathered it in enough ranch. 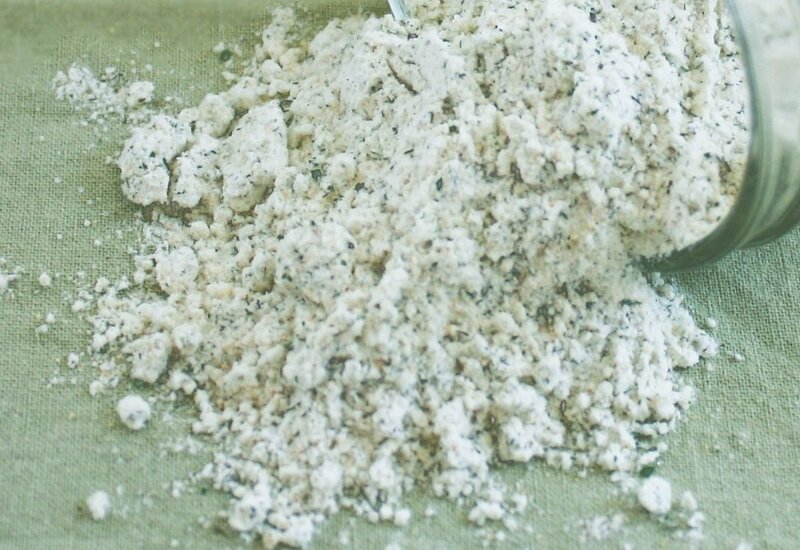 So the other day I tootled into my kitchen to make my version of Baked Ranch Crackers, the perfect snack for anyone wanting a handful of something savory, and I happened to flip over the packet of ranch seasoning mix and took a peek at the ingredients list. Let's see here....Sodium, sodium, and whoa that's a lot of sodium...Monosodium Gluta-what? Is that MSG? The dreaded MSG?! Do I want to read on? Hydroxypropyl - Ok I know I cleaned our bathroom counters with that yesterday...Oh, oh - parsley, finally something I recognize! Add on the cost of that tiny packet of ranch at more than $2 per ounce (gold is probably trading for less) and it's clear we need an alternative. Thankfully making your own ranch seasoning is not just an experiment for chemists. You probably have all the ingredients in your pantry right now. Well maybe all except for this one. Check the spice section at your grocery store. But even dry buttermilk is easy to find. 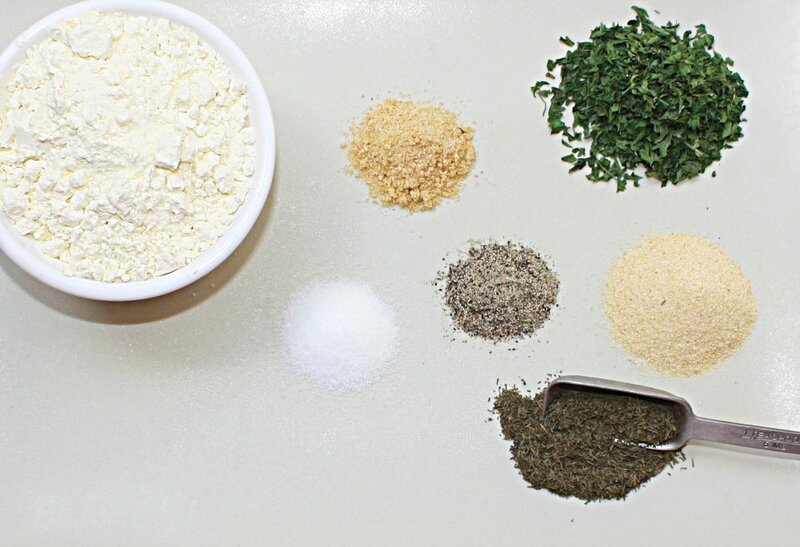 A quick trip to the supermarket and you can make ranch seasoning for pennies on the dollar. Here we go. Directions: Place all ingredients in your food processor and whirl for a minute just to blend and crumble those parsley and onion flakes. Store in an airtight container. Mason jars work great. Now I warn you, the finished seasoning won't be the knock-your-socks-off salt bomb that most commercial ranch powders are. But you can tweak the salt if you want that. This is a subtler, fresher, more garden-y and less chemical-y seasoning. Use it to season chicken breasts as a rub or as part of a marinade, add it to your own baked cracker recipe like I did, or mix it with mayo and milk for a fresh, sugar-free and gluten-free salad dressing. You're sure to enjoy it. The best thing is that I have everything already on hand, and just bought a 3 pack of that buttermilk powder from amazon and wasn't quite sure what I'd do with all of it! Perfect! Wow! thanks for this recipe, I'm grateful to have a much-less-sodium version since my hubby has heart problems. Your photo on TasteSpotting had me totally intrigued. I never really looked at the ingredients on the little packet. Powdered buttermilk...I never would have guessed. Thanks. Brilliant! I use this in soup a lot in the winter. Any idea how much of this would be roughly equal to a store-bought packet of ranch? Sounds like it would be devine on chicken or to make a nice, light dip. This is brilliant! I am using this tip! Thanks! >> how much of this would be roughly equal to a store-bought packet of ranch? It depends on your taste preference, but for me I use about 2 tablespoons of this homemade seasoning in place of 1 packet of store bought ranch seasoning. When you say "easy to find", where are you looking. I've been up and down the baking isle of every supermarket in my town and none of them have it. When I buy the 1 oz packet of Ranch dressing mix at the store, I make it with 1 cup of buttermilk and 1 cup of mayo. How does this mix compare? Can I just add water because it already has the powdered buttermilk or should I stick to my old ingredients? @Anonymous - If it's not in the baking aisle near the powdered milk and spices, your store may not carry it. But that sounds unlikely. What has your grocer said when you ask them about stocking it? @EK - This mix is milder. I would 2x or 3x it depending on your taste preference. Definitely stick with adding mayo and something else that's creamy. I use sour cream, but buttermilk in a small quantity would be great too for its tangy flavor. Plain water will be too runny and dilute the flavor. Thanks so much for posting this recipe! I have a lot of food allergies and can't use the ranch packet mix, but make the ranch crackers for friends and family all the time. Can't wait to try this recipe so that I can start enjoying them myself!!! Thank you Andrea and you're so welcome! I hope you just love it. I found this on Pinterest! This is the best recipe I've found for packet ranch dressing. All the others were missing the milk or buttermilk powder! So happy I found it. I make a taco soup recipe that calls for a packet of ranch dressing. Would I use 2 Tbsp of this? Also, onion flakes, they are different than minced onion, right? I've never seen them before. Totally love! and at Sonya I used minced onion because that is what I had....turned out fine. Flakes ate hard to come by. Thanks so much. I used my own ratios but borrowed from this. Have you ever made this without the buttermilk? I have dairy allergies in my home and use ranch in several recipes. The dry buttermilk should be stored in the refrigerator after opening (check the label) so the mix probably should also. I'm excited to try this out! Thank you for posting....I often bypass recipes calling for dry ranch mix because I am sensitive to MSG! 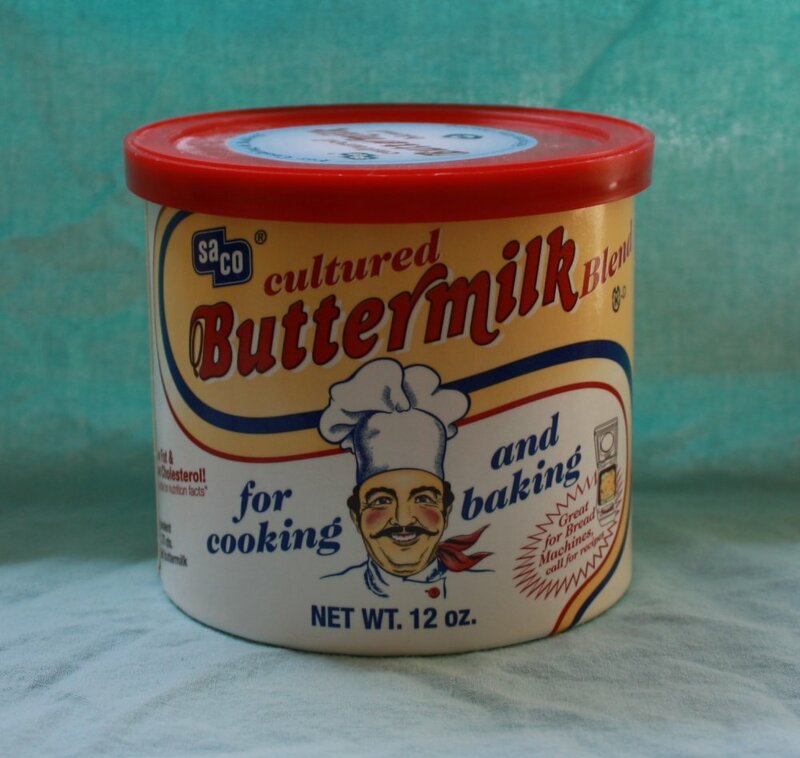 I can find the buttermilk powder at WalMart, Meijer, Target and Kroger in Michigan. It's near the baking soda, salt, spices, and flour section. You might need to look closely because they usually only have ONE row of it. Awesome stuff! For the poster who was asking about dairy allergies - this recipe is VERY close to what I use, but I have seen others online that use crushed saltines as their base. If you were going to make ranch dressing with this, would you use the same proportions as the pre-packaged mix? Glad to see mix with buttermilk powder. Have in fridge. What amounts would you use to make dressing, mayo, sour cream, milk, seasoning mix?? Want to try this soon. 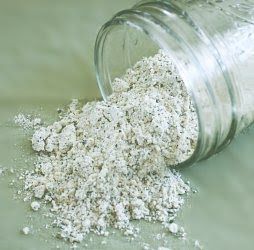 I have been looking for a DIY Ranch Powder mix for my Cheater Potatoes and sandwich dressing for months, thanks for posting this! I will probably be upping the salt a smidge and adding a little sugar to better mimic the browning I've been looking for in a homemade mix, but the secret must be the dried buttermilk! I never knew it existed and I can't wait to try it! Thanks again! I think it's funny I had the powdered buttermilk in the house, but I never have a packet of ranch dressing when I need one! Thanks for the recipe! Oh, and the only reason I have the powdered buttermilk is because every time I bought buttermilk for a recipe I never used it all up before it expired. When you buy buttermilk for a recipe, pour the unused portion into an ice cube tray and freeze. You get about 2 tbs, 1 ounce in each ice cube cup. Then, when they're frozen, pop them out and put in a zipper bag and back in the freezer. Use as needed. No waste. Should this be stored in the fridge? The dry buttermilk container says to store in the refrigerator after opening, so I think I will put the mix in there to be on the safe side. Having a pix of the package was a big help. Today I also found it at WalMart, baking aisle, across from cake mixes, one row up from the bottom. I was disappointed there wasn't a liquid ratio included in the recipe. Eg: how many tsp or tblsp powdered mix to what amount of liquid or Mayo, or sour cream, or heavy cream. I would like to try this recipe but I don't want to screw it up trying to get it right. Would you please be a little bit more specific? Is there a way to make this dairy free.